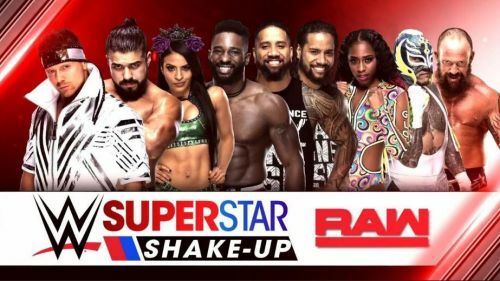 The WWE Superstar Shake-Up has seen its first casualty in terms of a faction getting split. SAnitY were one of the most popular acts on NXT before moving to the main roster. However, the faction is effectively over now with Eric Young being drafted to RAW during last night's episode. SAnitY made their NXT debut in October 2016 with the lineup of Eric Young, Nikki Cross, Alexander Wolfe and Sawyer Fulton. Fulton was taken out with an injury soon after their debut and was replaced in the faction by Killian Dain. The future looked bright for SAnitY when they made their SmackDown debut during the 2018 Superstar Shake-Up although Nikki Cross stayed back in NXT and was not a part of the group going forward. SAnitY haven't really been given a chance on the main roster and have barely featured over the last few months. 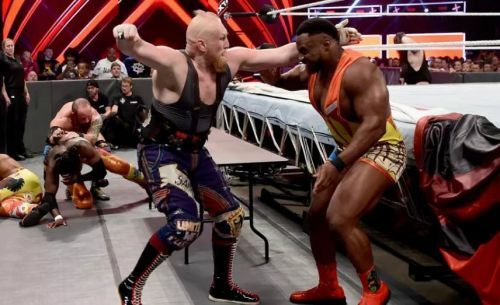 SAnitY were split up during the first night of the Superstar Shake-Up on RAW with Eric Young heading to the red brand. Young was joined on RAW by bigger names like AJ Styles, Rey Mysterio, The Miz, The Usos amongst others. Let's hope he gets a shot on RAW as a singles star. Eric Young will continue as a singles competitor on RAW by the looks of it. He's barely had any television time on SmackDown recently and it's unlikely that EY will be a featured star on RAW even though he's a talented wrestler. As for Dain and Wolfe, they look like they will continue as a tag-team on the blue brand going forward. Let's hope WWE use them better going forward.